If you are a male Finnish citizen and live abroad, you are subject to the conscription call-up starting from the beginning of the year in which you turn 18 years. 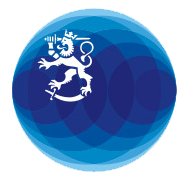 You can handle your call-up obligation matters through the mission of Finland in your country of residence. In case you have multiple nationalities, you may be subject to conscription in accordance with your other home country legislation even if you had performed your military service in Finland. For those who have not performed military or non-military service, a passport is granted to no later than until the end of the year when they turn 28. The Regional Offices of the Defence Forces help and serve persons subject to general conscription. If you reside abroad, your Regional Office is your municipality in the population register. For additional information, please visit the Defence Forces website.